University is a strange institution. Ever since I can remember it has been preached to me that it is a necessity in achieving life’s dreams, an establishment designed to enlighten and educate me. Without completing a university degree, I was told, I would end up going nowhere. I would be bound for failure, shunted off to one side in the employment game. A great Tertiary Entrance Exam score saw me enrol in Law, for no other reason than that I could. What followed was a year and a half of partying punctuated by the occasional lecture or exam, before I dropped out spectacularly in a haze of tears, recriminations and gin. Now here I am, six years later, working my way through a different university degree. Does this mean that I finally bought into the concept of tertiary education, a convert to the institution? Not at all. Rather, and this is painful to admit, at 26 I still have no clue, not a skerrick of an idea of what I would like to do as a career. This degree is supposed to assist in the making of some sort of decision. But hey. Wouldn’t we all. So here I am, completing a Bachelor of Professional Writing and Publishing. I am learning how to write real good English, totally. But what I find interesting (terrifying) about this degree, overall, is that often I am told that my writing is wrong. Not in those exact words, of course, but I am old enough and ugly enough to read between the lines. How could writing be wrong? I ask. Isn’t all writing nothing but a relationship between author and reader? How can you classify such a relationship? Apparently, at university, you can. Reading back over past assignment feedback is both humorous and humiliating. I would have liked a bit more eloquence overall to elevate the creative intent. The story itself feels ‘under done’, if I may use that term. I appreciate that this theme has significant overtones as social commentary, but the story itself requires some deeper emotional shading. Slightly over written in parts. And my favourite: This displays only a satisfactory understanding of the book and its readership. This is the problem with studying a writing degree when you have vague intentions of becoming a writer: often it can destroy your will to live. This is why I haven’t been brave enough to pick up this book in over a year, because I was told I didn’t understand the concepts of the book, I didn’t display an intellectual analysis of its content, and I certainly failed in correctly acknowledging the distinction of its famous author. 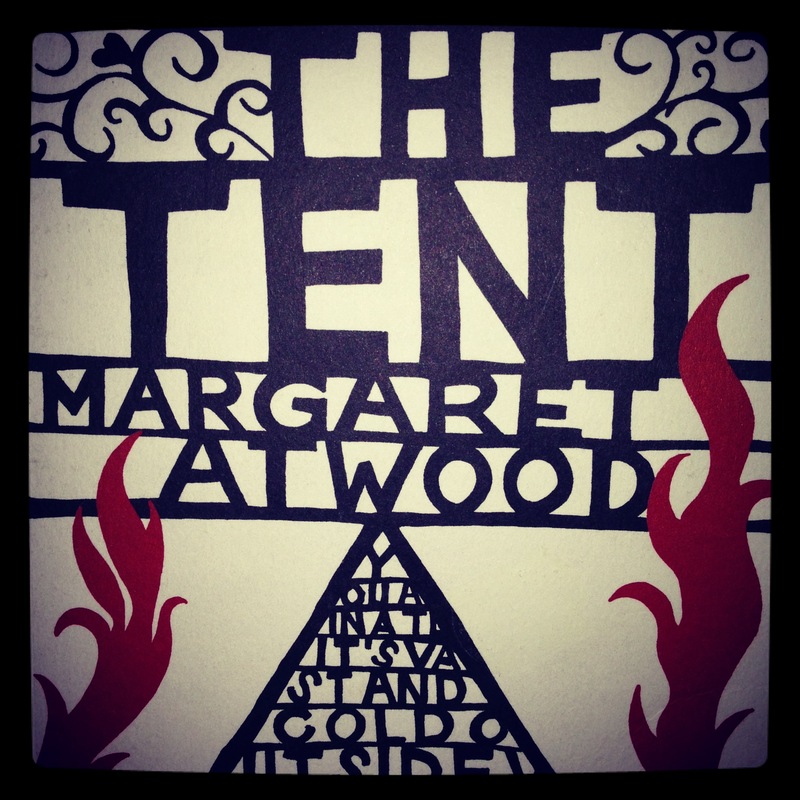 So now, one year on, I will have another attempt at discussing the excellence that is Margaret Atwood’s The Tent. I adore this book. (slightly overwritten). It is a collection of short stories, or short fictional essays, so well written and executed that you find yourself pondering them for days. They are confronting in a way that only Atwood can be confronting, gritty, ballsy and gratingly honest. She reveals aspects of her life through the subtext of each story. Written and published in her 60’s, Atwood spends a lot of time looking back over her youth and her long and industrious writing career. There is elements of sadness, nostalgia and melancholy throughout, punctuated by her trademark wit and humour. Take for example the astutely titled Encouraging the Young. In it Atwood mockingly reveals that she has decided to encourage ‘the young’, who we can only assume to be young writers. As an older, wiser and more experienced writer, Atwood explains her reasons for encouraging them now: The young are not my rivals. Fish are not the rivals of stones. Her disdain for the young and stupid is self-evident, her amusingly biting sarcasm oozes from each word. Here I am, happy to help! I’ll pass round the encouragement, a cookie’s worth for each. There you are, young! What is a big, stupid, clumsy mess like the one you just made – let me rephrase that – what is an understandable human error, but a learning experience? Try again! Follow your dream! You can do it! It’s the newly conscious young I mean, the ones with ambition and fresh diffidence, those who’ve learned the hard way that reach exceeds grasp nine times out of ten. How disappointed they are! And if and when they succeed for the first time, how anxious it makes them! Now they will have to live up to themselves. Bummer. There is so much versatility in each individual story that makes up The Tent. It’s easy to see how comfortable Atwood has become with her voice and her writing, it is confident, assured and perfectly executed. 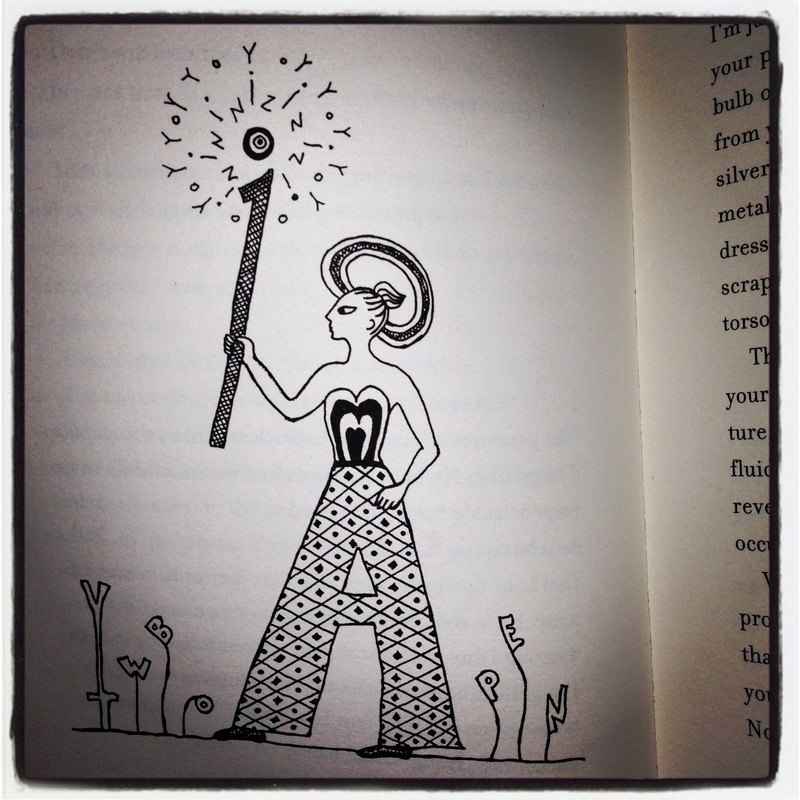 The book is scattered with Atwood’s own drawings, lending a sense of the surreal to each story. 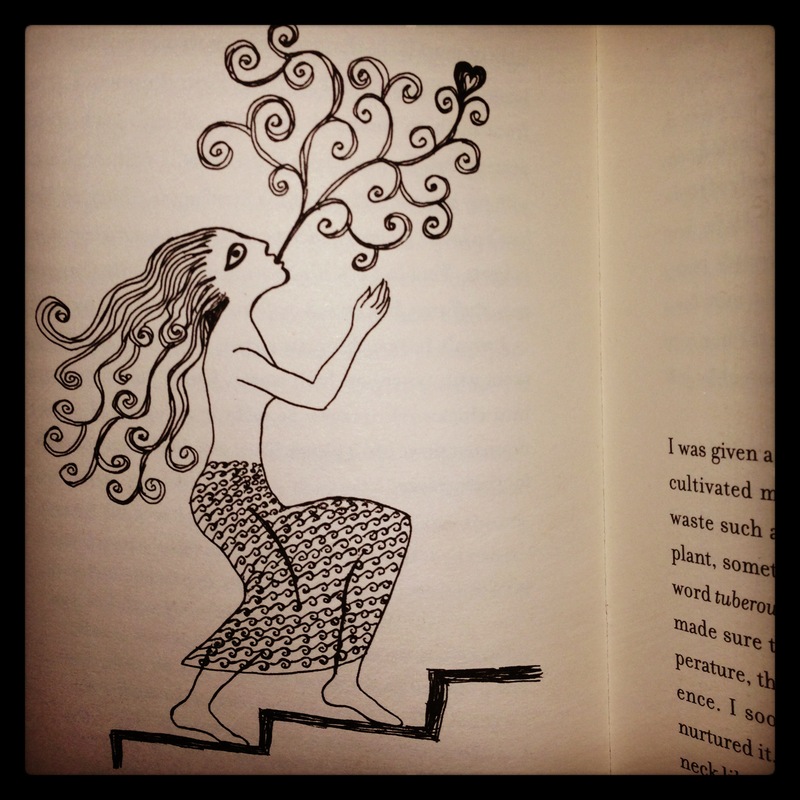 The drawings themselves are worth buying the book for, they are fabulous in their own abstract, enigmatic way. My favourite story is probably one of Atwood’s most personal, in which she discusses her ‘voice’. I was given a voice. That’s what people said about me. Throughout we are given the sense that Atwood has a tumultuous relationship with this voice, that it has taken over a part of herself and become the more present ‘her’. I was sought after, or rather my voice was. Atwood’s struggle to maintain her sense of identity beneath her writing voice gives this short excerpt an overriding sense of despondency, we are shown how the world views her only in terms of this voice. Its accomplishments and accolades are not her own, she identifies herself as nothing but the carrier of this voice that is beginning to wilt and fade. My voice was courted. Bouquets were thrown to it. Money was bestowed on it. All the best places wanted us, and all at once, for, as people said – though not to me – my voice would thrive only for a certain term. She ends in a chilling way, describing her voice that has taken her over entirely. Although it’s begun to decay, my voice is still as greedy as ever. Greedier: it wants more, more and more, more of everything it’s had so far. Soon it will be time for us to go out. We’ll attend a luminous occasion, the two of us, chained together as always. I’ll put on its favourite dress, its favourite necklace. I’ll wind a fur around it, to protect it from the drafts. 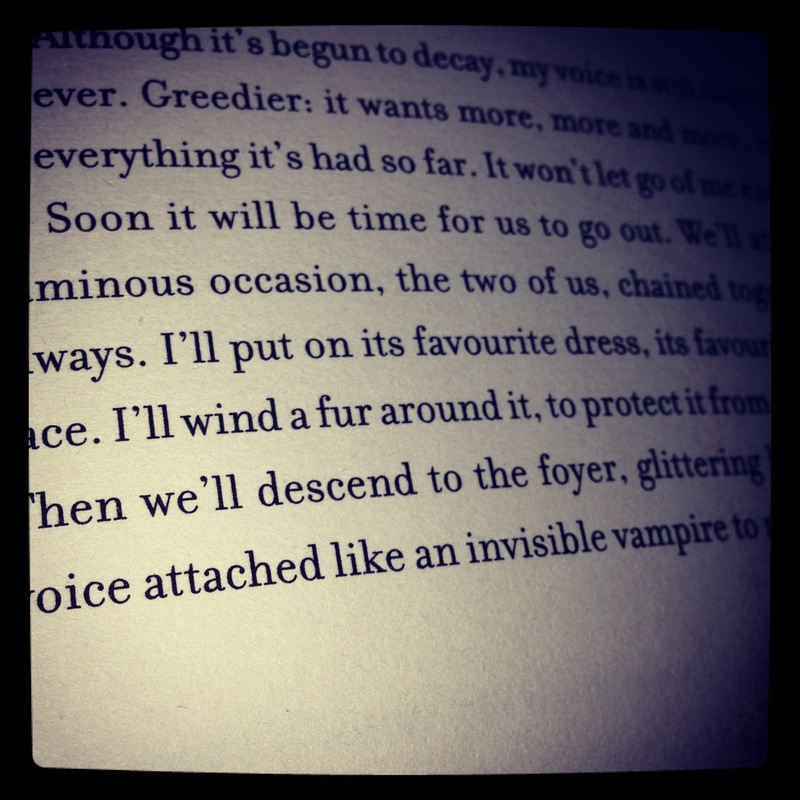 Then we’ll descend to the foyer, glittering like ice, my voice attached like an invisible vampire to my throat. One thing I take away from this powerful book is that Atwood is mistaken, her voice has not begun to shrivel or fade at all. It is as majestic and discerning as ever, leaving us with a collection of stories that are complex and profound. It is a book that encourages several readings, at each re-reading new layers of meaning are discovered. To note is not to disparage. All observations of life are harsh, because life is. I lament that fact, but I cannot change it. Neither would we want you to, Ms Atwood. This is an amazing post, Jayde. You would do well to get your degree, your “credential” as some of us see these things, and then turn your back on the tepid criticism you’ve received. Frankly, criticism such as the examples you share are useless since they are vague and highly subjective. 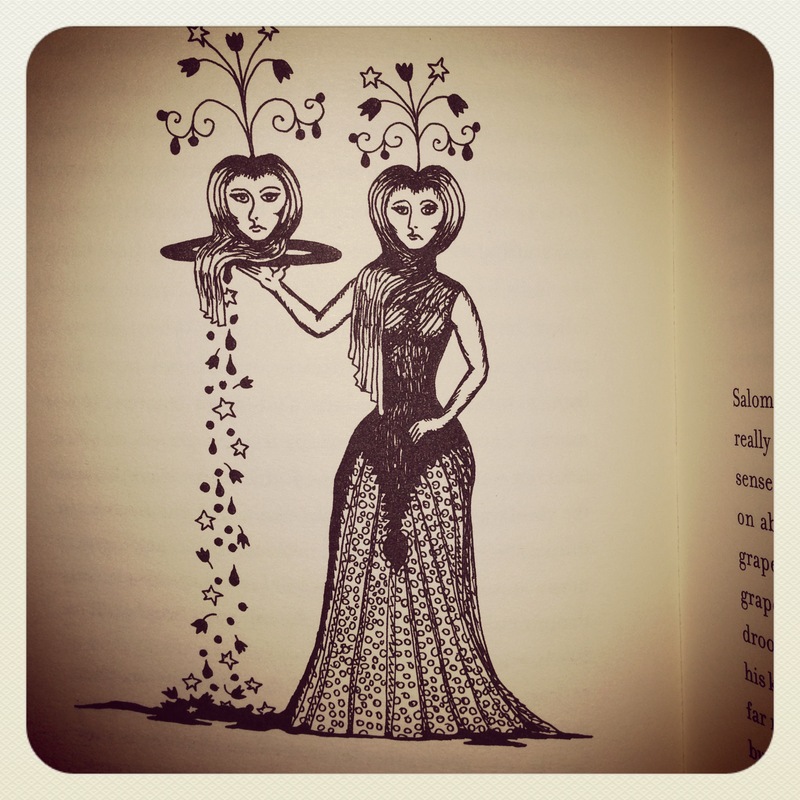 Your blog and your zines are fine demonstrations of your writing. Previous PostJohn Steinbeck is My Homeboy. Next PostSunshine on a Rainy Day.